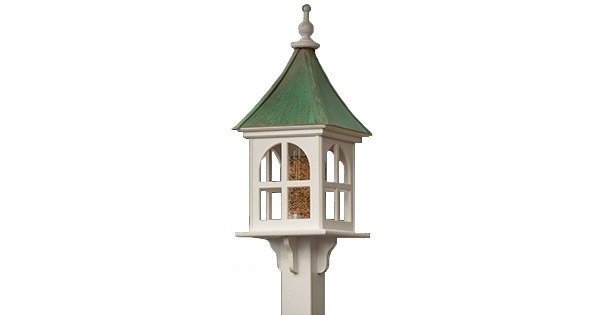 This beautiful Navago Bird Products copper roof, vinyl birdhouse contains 8 compartments providing a home for some lovely birds. 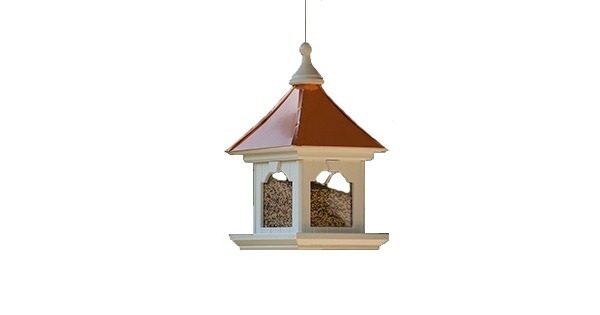 Made of a weatherproof, maintenance-free cellular PVC material. 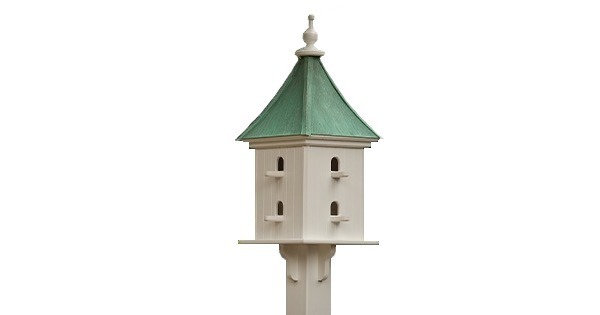 - Mounting brackets are attached to the birdhouses as seen. They are designed to fit a 4” vinyl sleeve. The vinyl sleeves fit over a 4x4 wood post. 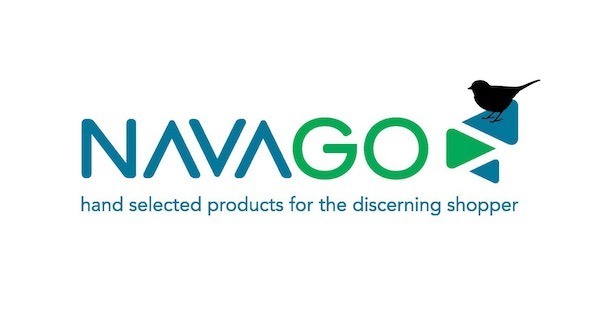 - Very easy to clean and maintain. Just lift the roof! 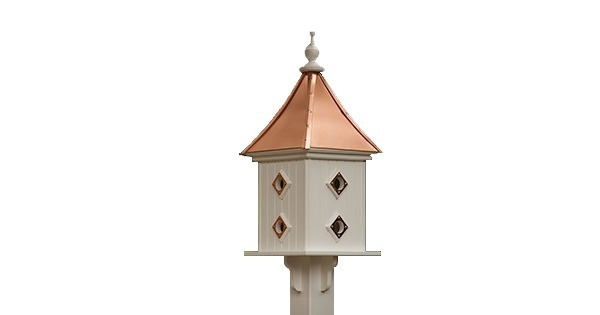 Available in Bright Copper or Patina Copper roof.